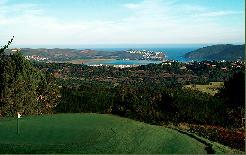 Goose Valley Golf Course. Originally a 9 hole course set at the heart of a real estate development, The Gary Player Design Company has created an 18 hole layout of note only 2km from Plettenberg Bay and bordering on the Keurbooms Lagoon. 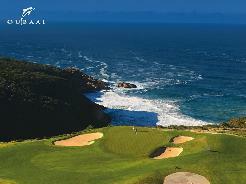 A nature reserve borders many of the holes that allow for some spectacular views of the ocean. 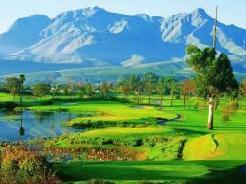 Goose Valley golf course is a first-class golf course set amongst the indigenous fynbos. 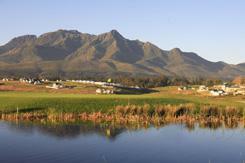 The golf course is in stunning condition 12 months of the year. 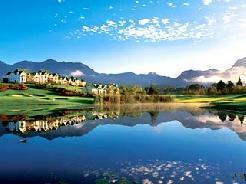 It is built on pure sand with excellent drainage properties and uses recycled water from the Gans "Goose" River that meanders through the Estate. Goose Valley plays relatively short, but requires pinpoint accuracy as the brutal rough and high-walled pot bunkers have swallowed many a ball. 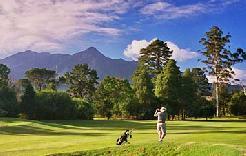 Golfers will experience breathtaking views of the lagoon, the ocean and the Tsitsikamma Mountains, and also the beauty of the natural fynbos, trees and an abundance of animal and birdlife. 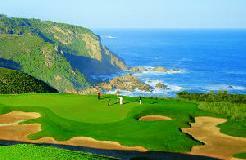 An added bonus is the micro climate enjoyed by Plettenberg Bay. Wind free for most of the year it has the highest recorded sunshine hours of any coastal town in the South Africa. No Handicap is required unless you are entering a competition.